I've been using this bottle as an extra bottle in road races and it's worked out great. Drink the water up and then you don't have that spare bottle to throw to the side of the road in the feed area, it's worked great. 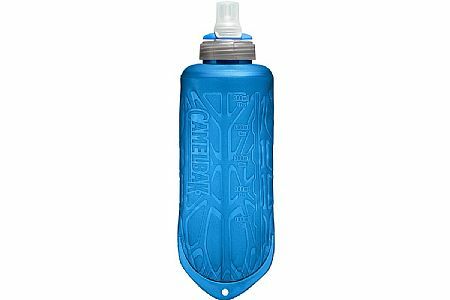 Great auxilliary water bottle to extend rides or contend with hot, humid conditions. On some rides during the heat of summer that drift off the beaten track, two 24 oz. bottles don't last very long. This flask is a reserve tank that fits in a jersey pocket comfortably when full and keeps your back cooler like an ice pack when chilled pre-ride. When empty, it almost disappears in that same pocket on the way home.